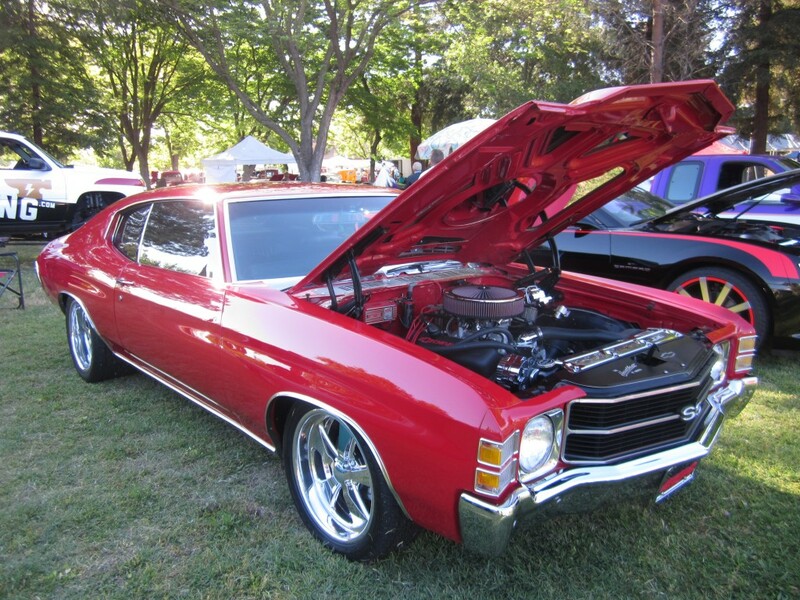 Lynda and Randy Fellman have owned their 1971 black and red Chevelle SS Coupe for two years, but their relationship with this model dates to 1981 when they used to gut the cars and race them. 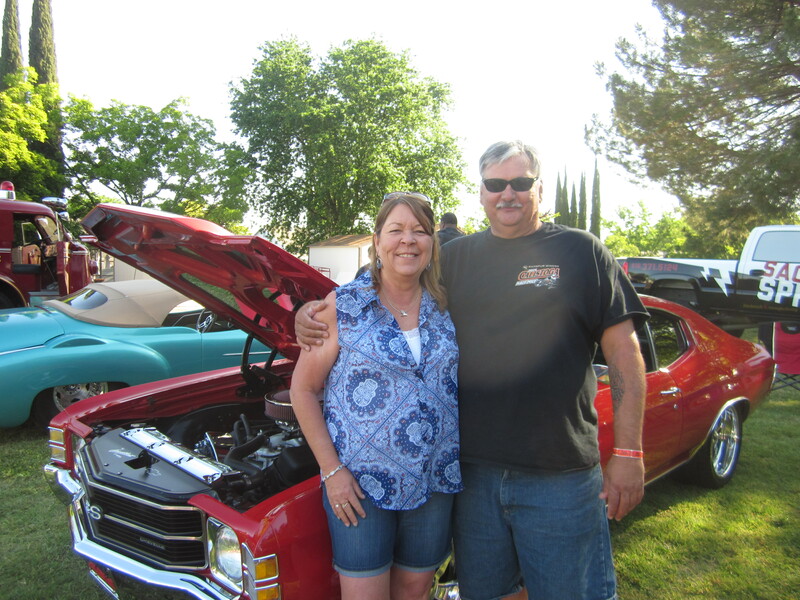 The pair began racing primarily on the stock car circuit, but they switched to Legends car racing, retired two years ago and passed the driving to their grandson. “This car is not for gutting,” Lynda said. The Fellmans searched for a quality body, wanting to avoid rust problems, so limited the search to vehicles manufactured in California. 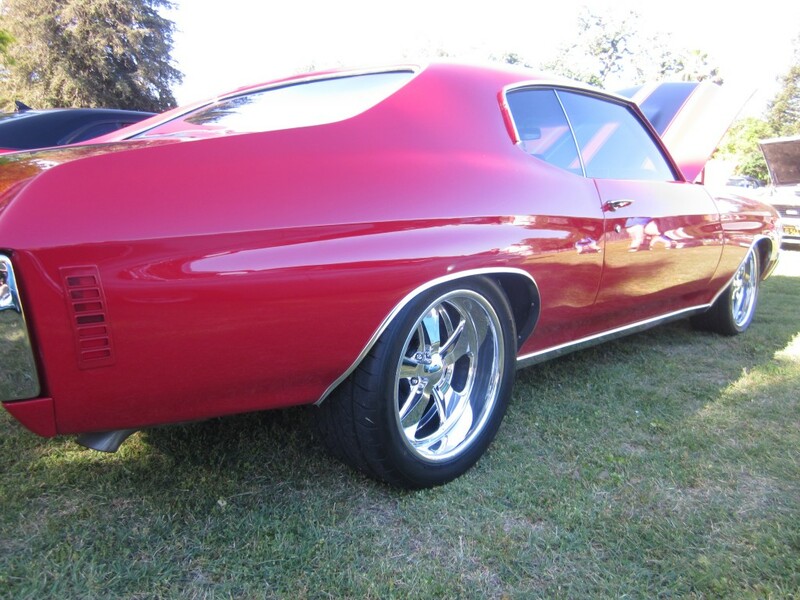 They checked VINs, drove hundreds of miles and spent about 6 months searching before purchasing this car from a guy in Southern California who’d purchased it about 3 years earlier from a guy who had done the original restoration. 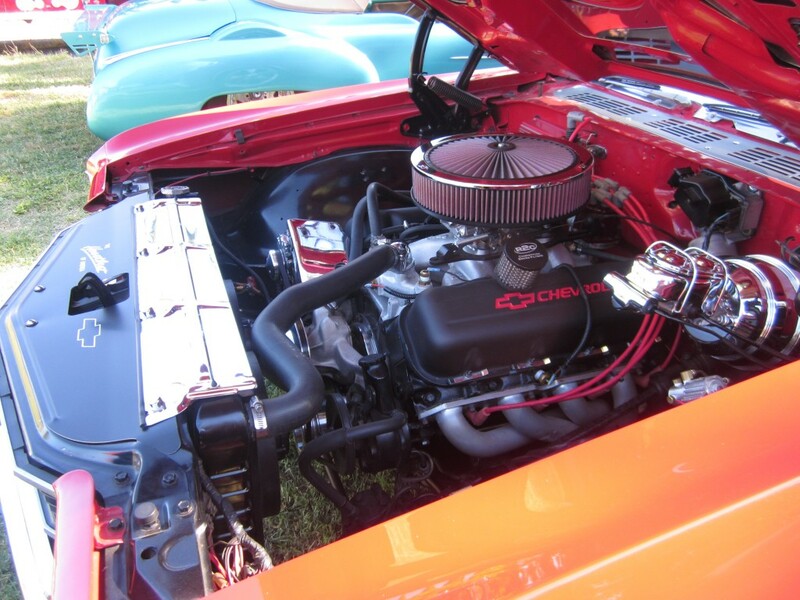 There wasn’t much work to be done since it was already in good condition, but the motor blew, Lynda said, and Randy installed a big block Chevy 454 that he’d purchased from a friend. He cleaned the engine and changed the gaskets. “I bolted all my goodies from the blown motor on the new one to dress it up,” he said. 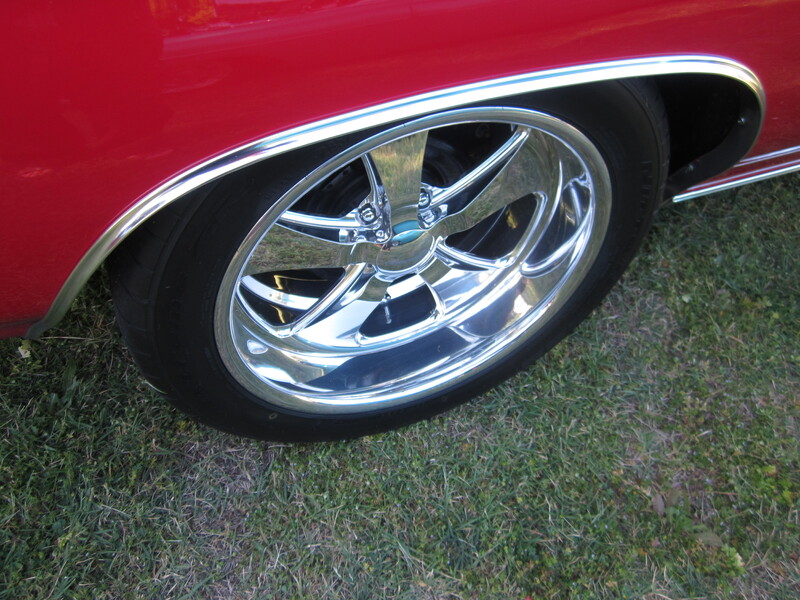 Much of the work Randy did was cosmetic, adding trim and accessories, including new bumpers and hood mirrors, but there were a few things he needed to repair or replace. “None of the dash lights or gauges worked, so I removed the dash and repaired all of the lights and gauges,” said Randy. 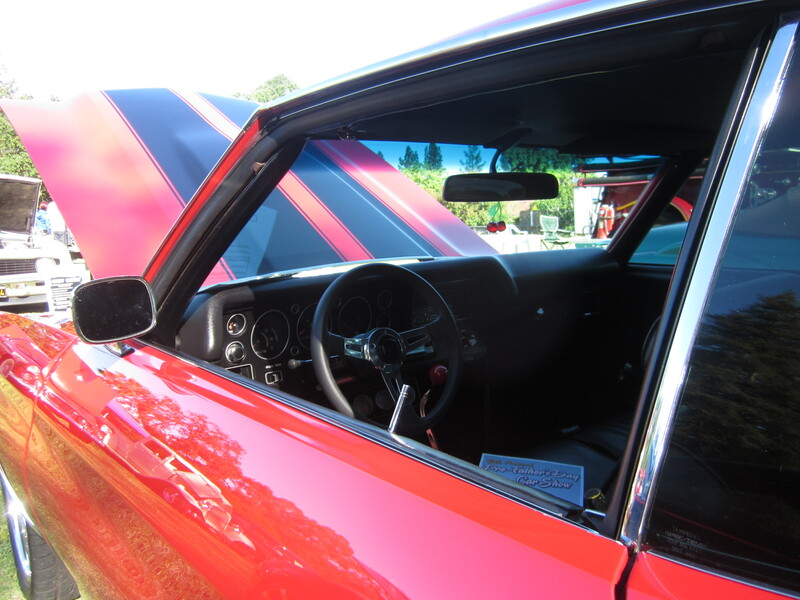 While everything was out of the interior, he painted the dash and replaced the dash pad. Those changes led him to reassess the upholstery. A tear on the driver’s side seat was unacceptable, so he removed the seats and had new covers installed. “I then had the windows tinted and installed a new stereo while I was in there,” he said. In their 30 years of racing, they saw many tracks and raced many races, but the one they enjoyed most was racing with the Legends of the Pacific on Nascar weekend at the Sonoma Raceway, said Randy. “We competed four years, from 2010-2013, and our driver (and grandson), Robert Czub, won 3 out of the 4 races. It was very exciting to be at the same event that the Nascar drivers were competing at. We raced Saturday and they raced on Sunday,” he added.